Does a deep cleaning hurt? 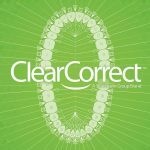 Since deep cleanings target the area underneath the gumline, some patients might find the procedure to be painful. However, a deep cleaning is a thorough and effective way to disinfect pockets of bacteria trapped in your gums which would otherwise lead to periodontal disease. If you cannot withstand the pain of a deep cleaning even with a local anesthetic, the service can be scheduled across multiple sessions. If you’ve been diagnosed with periodontal disease, the good news is symptoms can be reversed with proper care and maintenance of your gums and teeth. You may be required to undergo several deep cleaning sessions, which involve a process called scaling and planing. Your dentist or periodontist will be able to eliminate bacterial pockets that have accumulated on your gumline from a lack of flossing. Once you’ve been treated and you’ve dedicated yourself to a proper mouth care routine, there’s a good chance you’ll reverse periodontal disease.